Stay informed of data security trends & technology. It’s here and now from Omega. Read these articles below to understand why breaches happen at retail locations, how Omega’s managed security, installed security and frontline data security services keep hackers at bay. PCI DSS Compliance: Who mandates it? PCI DSS non-compliance fees – myth or reality? Is data security worth the expense? Help! I think I’ve been breached. An optimal approach to safeguarding sensitive data. What lessons can we learn from the recent high-profile breaches? Data security versus breaches: How can retailers step-up their game? When should retailers seek help from a Managed Security Service Provider (MSSP) for data security and PCI compliance? How smaller retailers and franchisees are making data breaches easy? Get to Know the True Intent of File Integrity Monitoring. 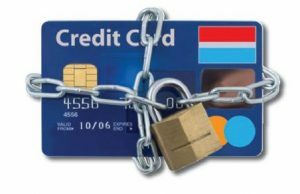 PCI Compliance questions every merchant should be asking. Retailers say compliant indeed, but are they? PCI Compliance audit by a Qualified Security Assessor. Qualified Security Assessor: A boon or bane? Surviving an audit year after year. PCI DSS Requirement 10: Logging and Monitoring – Why the fuss and fret? Level 2 Merchants Watch Out: You May Be Next on the List to Receive a Letter from Your Acquiring Bank. Choose a Managed Security Services Provider to fit both your business and your budget. Just one on-premise data security solution you can control. Retail IT 2013: Using retail systems management to maintain data security and PCI compliance. 3 tips to align your first line of defense with your PCI compliance strategy. 5 ways to avoid a negative PCI audit experience. Why are Level 1 and 2 Retailers becoming easy targets for breaches. Refocus your business on growth. Let technology take care of data security and compliance. Facts on data loss and recovery. Finding Security-Data-security experts pinpoint steps to block hackers. Show me a cost effective data security solution for my business. Systems management and data security for every retailer. No time left for important work because the minimal IT staff is only working on break fixes.